Scott Clark, M.D., Sheraj Jacob, M.D., Vinni Reddy, M.D., John Kalarickal, M.D., Namita Pareek, M.D., Neeraj Sharma, M.D. ,Ankur Sheth, M.D., & Andrew Lake, M.D. 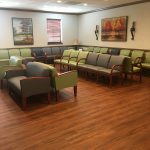 of Gastroenterology Associates of Gainesville, P.C., perform procedures in two Endoscopy Centers that are certified by Medicare and accredited by the Accreditation Association of Ambulatory Health Care, Inc. (AAAHC). These free-standing facilities are dedicated solely to gastrointestinal endoscopies. They were designed with quality, safety, and convenience in mind. 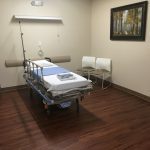 Both centers are large enough to offer cutting-edge procedural rooms and recovery areas, but small enough to provide the highest level of personalized quality care. 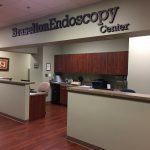 With a focus on endoscopy, a staff oriented to GI issues, and a goal of patient satisfaction; you can feel confident that you will receive care of the highest caliber. 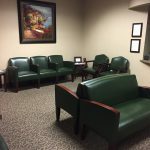 Visit our patient center, here you will find information on arrival times and instructions for procedure preparation. Our Endoscopy Centers are equipped to perform a variety of gastrointestinal procedures. Visit our services page to explore the procedures our physicians perform. Scott Clark, M.D., Sheraj Jacob,M.D., Vinni Reddy, M.D., John Kalarickal, M.D., Namita Pareek, M.D., Neeraj Sharma, M.D., Ankur Sheth, M.D., & Andrew Lake, M.D. 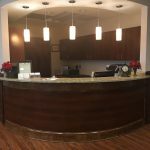 are the owners of Gainesville Endoscopy Center and Braselton Endoscopy Center. They have a financial interest in these entities. 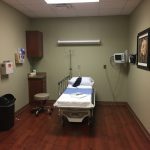 If you wish for your procedure to be performed at another facility your options include: Northeast Georgia Medical Center (Gainesville or Braselton) or Habersham Medical Center.